Kylie Jenner ‘sooo over’ Snapchat – and Wall Street panics – Kenyatta University TV (KUTV). All Rights Reserved. 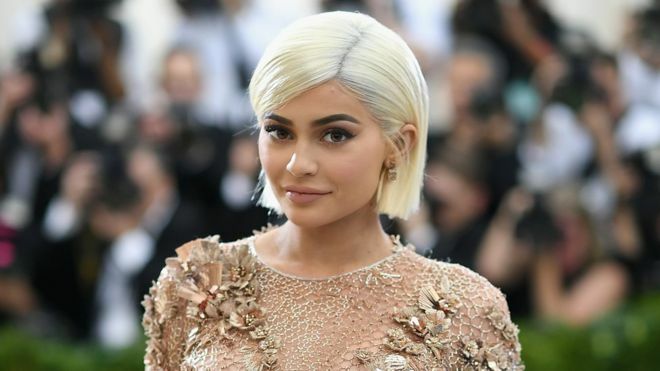 Reality TV star Kylie Jenner wiped $1.3bn (£1bn) off Snap’s stock market value after tweeting that she no longer used its Snapchat messaging app. Snap’s shares sank after Ms Jenner’s tweet about Snapchat’s re-design to her 24.5 million Twitter followers. One million people signed a petition demanding Snap roll back the change. After dropping almost 8%, shares in Snap closed 6% down on Wall Street, and are now back near the $17 price at which the shares were listed when the company floated on the stock market. Snapchat is facing intense competition from Facebook’s Instagram – especially for celebrity users – and Ms Jenner’s attack comes at a time when investors are already worried. Ms Jenner later tweeted a follow-up: “still love you tho snap… my first love”. Snap has rejected complaints about November’s re-design to its messaging app, with its boss Evan Spiegel saying earlier this month that users just needed time to get used to it. Mr Spiegel had something to soften the blow, though, with news on Thursday that his total pay last year was a staggering $637.8m. It is thought to be the third-highest annual package ever received by a company’s chief executive. The remuneration was, however, heavily boosted by the award of shares when the company listed on the stock market. Mr Spiegel’s basic salary for last year was a more modest $98,078. The package trails the 2007 and 2008 compensation for Daniel Och, head of hedge fund Och-Ziff Capital Management. He received annual packages of $918.9m in 2007 and $1.19bn in 2008. Ignore Miguna Miguna,Raila Tells His Supporters.